These days I think we would have to have our heads buried in the sand to know that we need to do more to help save our earth. I was one of those people, back in the 1970s, who was expressing concern about what we were doing to destroy this wonderful planet we live on. Back then people tended to ignore us. Today, people are much more aware. There are many things we as individuals can do and one of those things is to use less chemicals. Every chemical whether indoors or outdoors has the potential to leach into our earth. There are many alternatives to toxic cleaning chemicals. Many can be found in your local grocery labelled as organic, or you can very simple and cheaply make your own. Apartment Therapy has recipes to combine these simple ingredients to clean almost anything in your home. 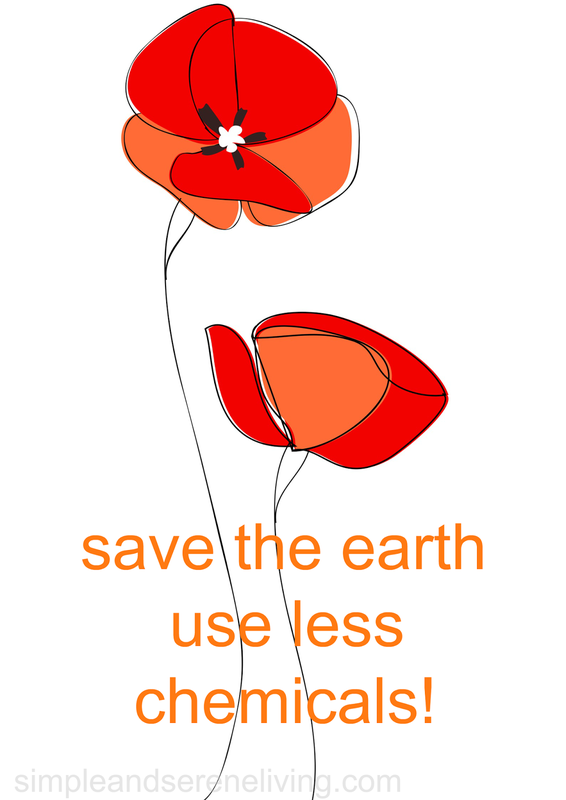 I love the idea of saving the earth while saving money and not exposing myself to harmful toxins. Seems pretty win, win to me. Gardening season is here and as I watch my neighbors and the lawn service where I live busily spraying to get rid of every known pest and weed, I inwardly and often outwardly (don't tell the neighbors that was me yelling at them) cringe. I mean seriously, I would much rather go out and pick dandelions in my own yard for my green juice than pay a fortune for them at Whole Foods. 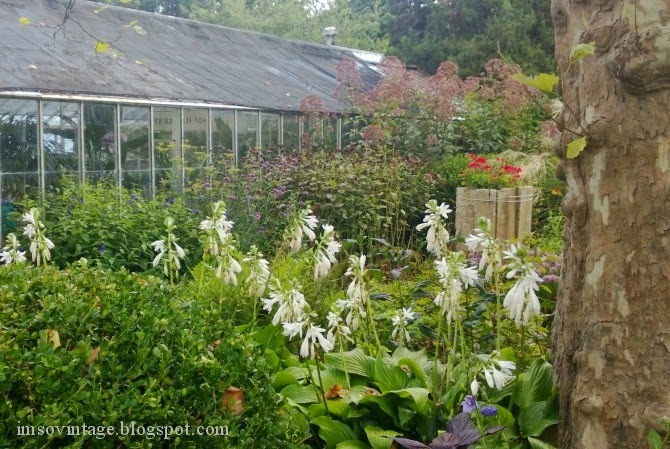 I've found some great organic gardening tips at Mother Earth News. 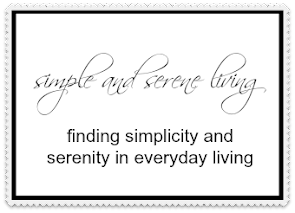 For me, a simple and serene life encompasses many things, and living in a healthy environment is definitely at the top of my list. I not only want to live healthier now, but I want to leave a better earth for those who come after me. With a little effort and thought we can all do our part. I so agree. We don't have our yard treated. We have a well. I have really cut back on chemicals in cleaning and in food. But what you never see a warning for are the things used to color or perm hair. So many chemicals. I will probably make some mad at me for saying that. I totally agree with you and with the comments before mine. My favourite cleaning product is white vinegar. It works wonder, it is harmless for the environment and for us and it is really affordable. I couldn't agree more Laura...I sit and watch in anguish as the chemicals are just pushed on us....I will check out Apt Therapy for some of their recipes. I only use baking soda, vinegar and traditional black soap to clean my Cottage who seems to like it! A reader told me yesterday that her across the street neighbor, an older woman, always sprayed her roses. She sprayed them on a windy day, went inside, and died of chemical poisoning from the chemical she sprayed on the roses.So much for pretty flowers. And I HATE lawns of any variety. I'd rather have gardens if I had to dig the whole thing up myself. I agree - we really must safeguard our planet for our children and their children!